If you are taking on other projects, like selling t-shirts you've screen printed or offering blog coaching e-courses, then yes, you can definitely call yourself an entrepreneur. But what if you don't? What if you just wake up in the morning, read some other blogs, post your own once a week, and share. Then no, that's not really entrepreneurial. What if you have Google Adsense and are a part of a few different affiliate programs? Then it's kind of hard to say. You don't take a huge risk to make that money. You are just assisting in selling someone else's products. Well what if you quit your job to blog full time? That's a considerable risk, right? Now your life banks on making sure you make enough commissions on those products you are advertising. 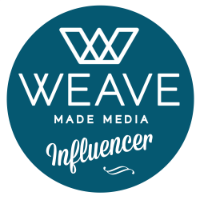 You are responsible for your blog's success or failure. Even if you're not making much, I suppose you could call yourself a starving entrepreneur. But at the end of it all, the word entrepreneur is just a mind set. Back in the day, the word entrepreneur used to mean something. Today, its meaning has been diluted. Today, it's become "anyone who makes an income outside their regular job". Today, it's someone with ideas. It's someone who aspires to be a creator. I honestly think people use this as their title when they need to appear more legitimate than they are. So, I decided to hell with the entrepreneur/blogger comparison. Show the world what you do, not what you are. Mark Zuckerberg doesn't tell people he's an entrepreneur, he tells people he is the creator of Facebook. I think it's important to focus on what you want to do, what you want to create, who you want to help. And just calling yourself an entrepreneur isn't going to do you any favors. It's too big of an umbrella do be under. It could murk your vision and your path. Make your path clear and you will be able to give yourself a crystal clear job title. I haven't made the step into monetizing my blog yet but I agree with quite a bit of what you say! Awesome post! As I'm starting to monetize my blog, this is definitely something I'm thinking about! I love the line about Mark Zuckerberg. I had never thought of that but now that you say it... so true! I agree. Blogging has become a business for many and should be treated accordingly! Blogging is my business and it's treated as such. With business comes responsibility. It's no longer just a hobby. It's scary to identify as a new thing because then you have all eyes on you. People are probably more likely to check in on how you're doing. It's a leap, for sure. I just poured a lot of money into my blog and for me that's a big risk. But I'm ready for it to grow and be more... and hopefully make me money. As an up and coming blogger, I have hopes of making profit of getting to try new products for free but mostly I just want to get my opinions out there. 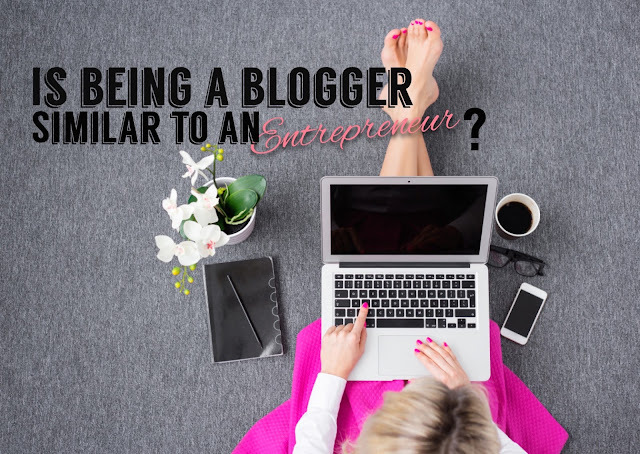 As some one who is planing a small business I would identify as an entrepreneur for that venture but as for blogging, I don't think that term really applies to the average blog. Though I look at the term Blogger as a position held, not just merely someone who has a blog. If you have a site that is read by your parents and your dog, I wouldn't identify as a blogger yet. I feel that Blogger implies that you work it, just like a "real" business. Together, the goals set the compass point and the principles or values help to guide your decisions and actions.